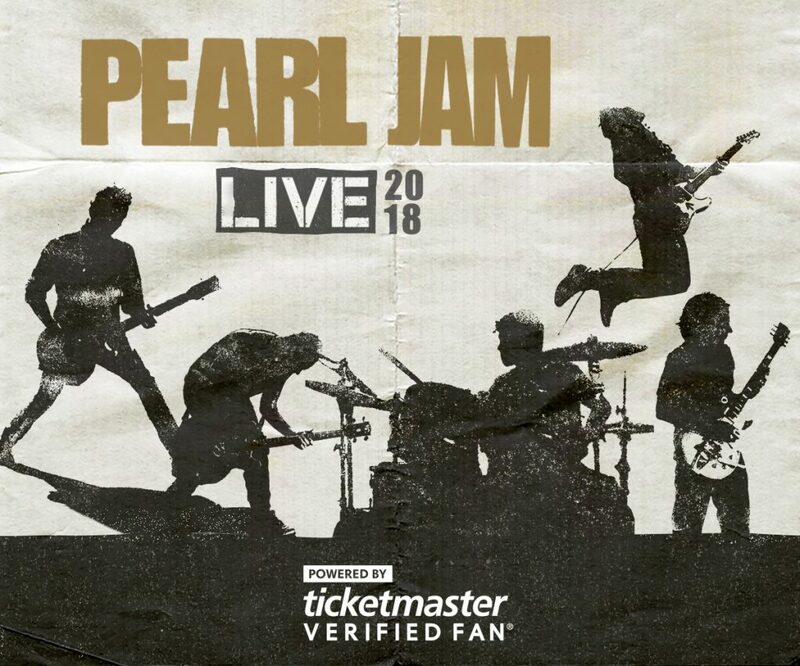 On Friday, February 16, we will be sending out presale codes for Pearl Jam shows at Seattle’s Safeco Field. Continue below for detailed shopping information, tips to prepare, and relevant customer service contacts during the presale. 1. 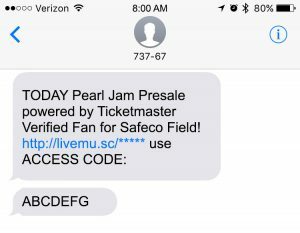 On the morning of the presale, you will receive a text message similar to the one below. 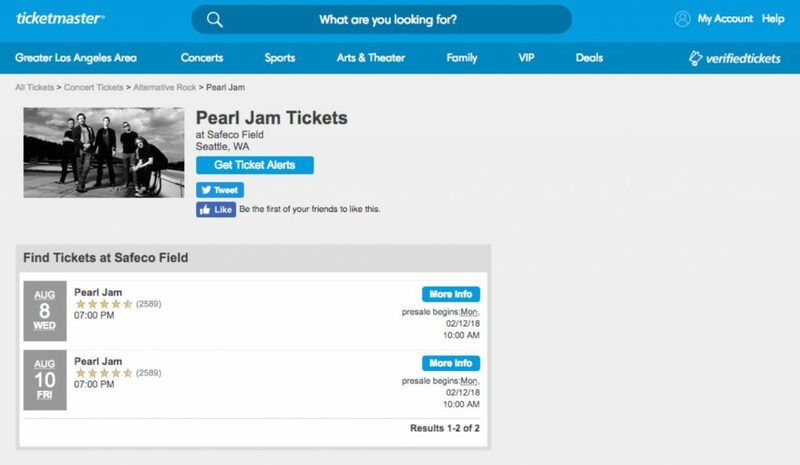 When you click the link provided in your text, you will be routed to Ticketmaster to begin shopping. 2. 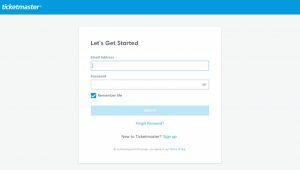 Login to Ticketmaster with the same Email Address and Password used to complete your Verified Fan registration. 3. Select the show you’re interested in attending. 4. 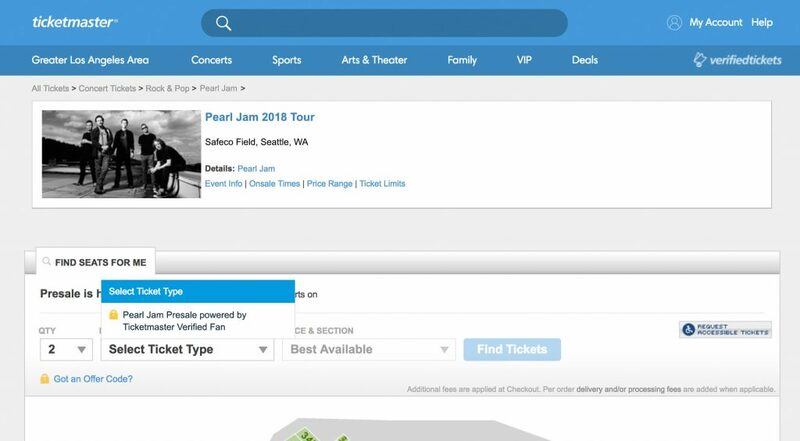 In the “Select Ticket Type” dropdown, choose Pearl Jam Presale Powered by Ticketmaster Verified Fan. 5. You will be prompted to enter your presale access code. Please enter the code exactly as it appears in your text; codes are case sensitive. 6. After successfully entering your code, click FIND TICKETS to begin shopping. As a reminder, there is a four (4) ticket limit, per presale access code. Tickets will be available on a first-come, first-served basis and are not guaranteed. Login to your Ticketmaster account in advance on the device from which you intend to purchase tickets. Confirm the credit card in your Ticketmaster account is valid and reflects the correct billing information in advance. When buying presale tickets, you must be logged into the same Ticketmaster account you registered with for Verified Fan. If you are unsure, reference the email we sent you on Thursday, February 15. The email address should match your login. Double-check you have entered the code exactly as it appears, with no extra spaces before or after. Access codes are case-sensitive. Presale access codes are valid for up to four (4) tickets total.